The teaser one sheet movie posters for this weekend’s Spider-Man: Homecoming just keep on coming! This one is pretty basic and not all that exciting, but at least it focuses solely on Spidey – something most of the previously released posters haven’t done. 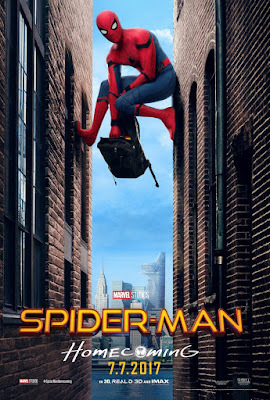 The Blot really likes that this poster brings Spider-Man back to his street level roots, and alludes to his struggles of balancing life as a super hero and being an ordinary high school student.